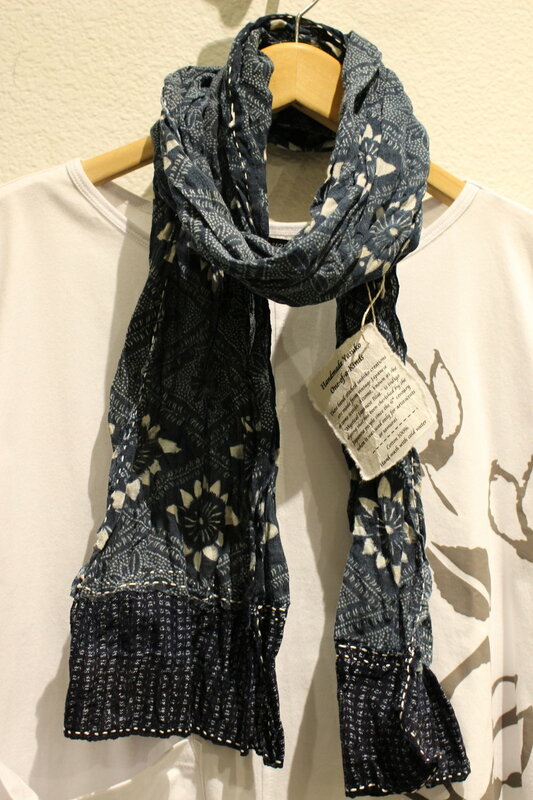 YASUKO is a Healdsburg-based women's clothing boutique. 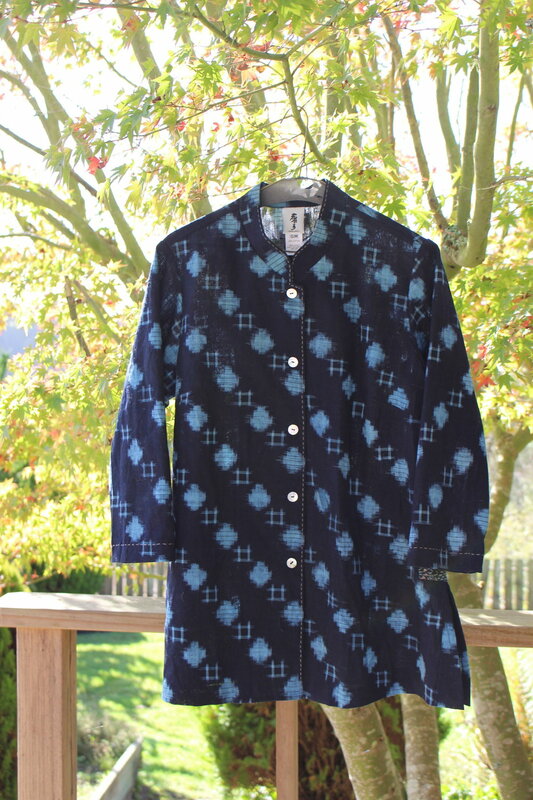 We specialize in original one-of-a-kind clothing using kimono silk and vintage Japanese textiles. 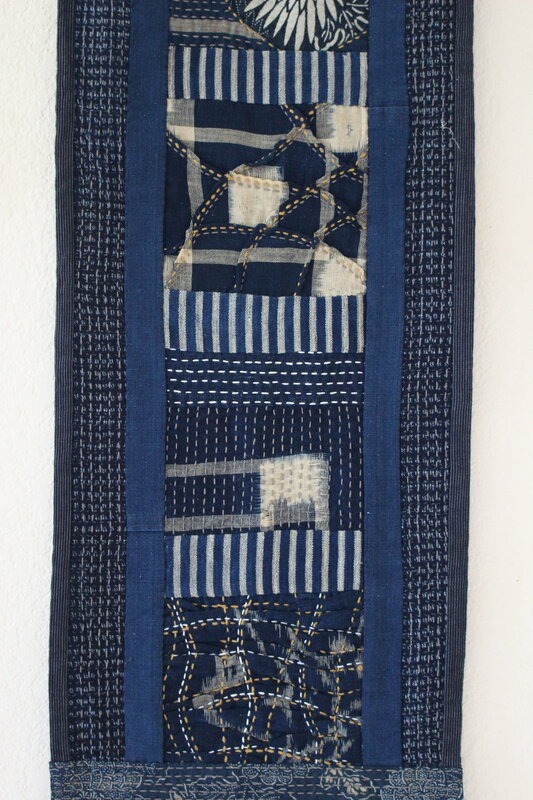 YASUKO is the perfect destination for quilters and crafts people. 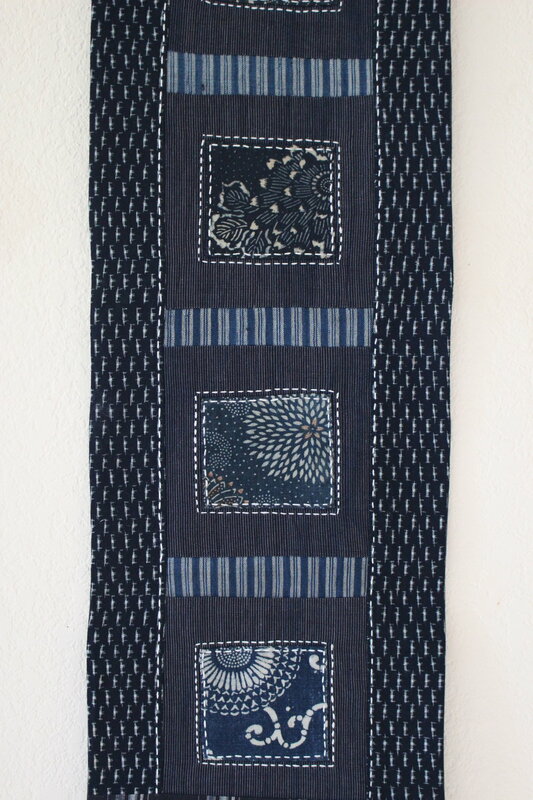 These hand-stitched sashiko creations are made from vintage Japanese aizome textiles. 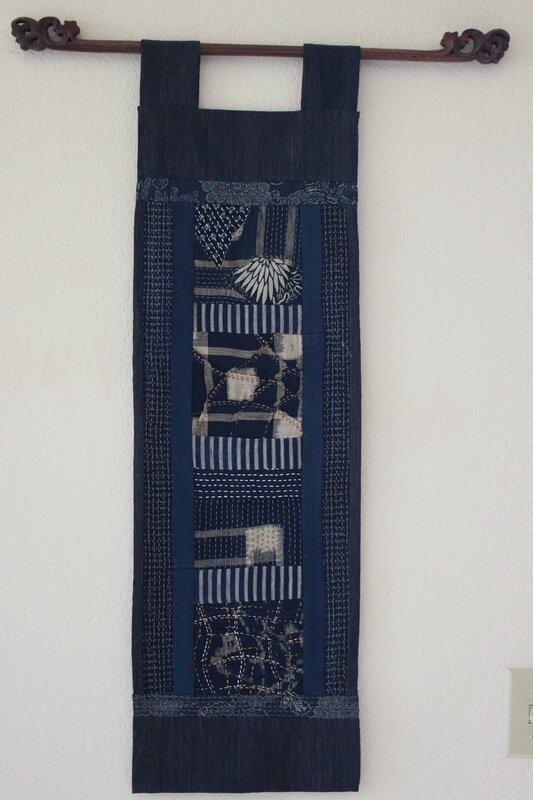 Aizome, known as the “Mystical Japanese Blue,” is indigo dyeing that has been cherished by the Japanese people since the 6th century when it was used only for aristocrats or samurai. This long vest is hand-crafted by Yasuko. The original textile is furoshiki, a traditional Japanese wrapping cloth, and it has been meticulously sashiko stitched, a form of ornamental and functional reinforcement stitching. 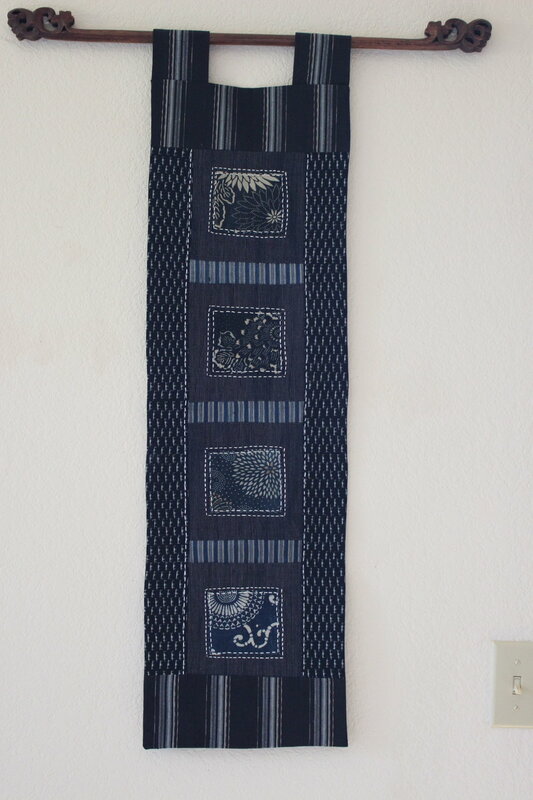 The textile has also been aizome tsutsugaki hand-dyed. Aizome Boro Shirts were created by Yasuko. This is a work in progress.